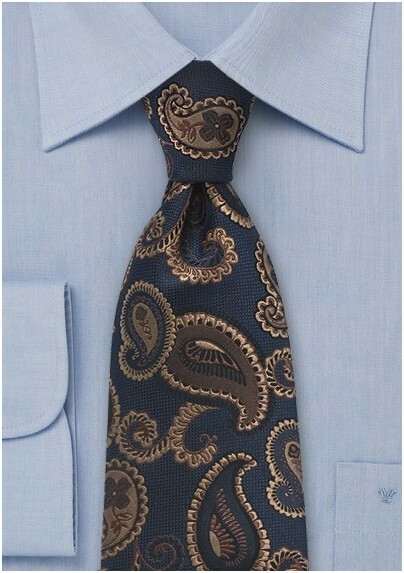 Create a masterful and masculine ensemble that turns heads with this traditional and ornate tie adorned with an elegantly handwoven paisley motif. The combination of metallic browns and dark blues is truly captivating and overtly wearable. 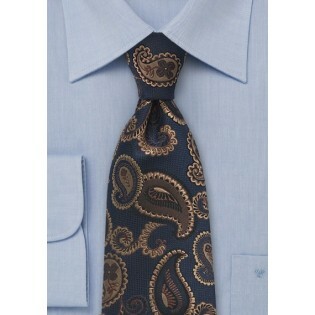 This handsome tie has a dark and regal aesthetic that shines in the colder months of Fall and Winter. We love to see it paired with a double breasted navy blue suit in a light wool. Crafted from premium silk.